"My gown suited me as well as I could ever hope, though I could not but envy the young ladies who would attract the honest compliments of the night. My bodice did not plunge as dramatically as some, and no man--no man I would ever want to meet, surely--could fit his hands round my waist. What I lacked in beauty I would simply have to earn with charm..." Benevolence is not "My gown suited me as well as I could ever hope, though I could not but envy the young ladies who would attract the honest compliments of the night. My bodice did not plunge as dramatically as some, and no man--no man I would ever want to meet, surely--could fit his hands round my waist. What I lacked in beauty I would simply have to earn with charm..." Benevolence is not your typical princess--and Princess Ben is certainly not your typical fairy tale. 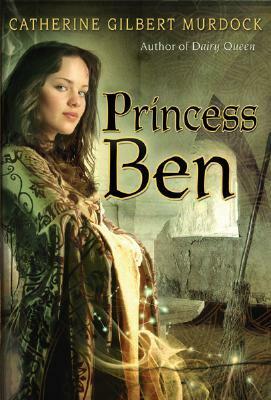 With her parents lost to assassins, Princess Ben ends up under the thumb of the conniving Queen Sophia. Starved and miserable, locked in the castle's highest tower, Ben stumbles upon a mysterious enchanted room. So begins her secret education in the magical arts: mastering an obstinate flying broomstick, furtively emptying the castle's pantries, setting her hair on fire... But Ben's private adventures are soon overwhelmed by a mortal threat to her kingdom. Can Ben save the country and herself from tyranny?